Orthodontics and Occlusion are fields within dental medicine that are very much interconnected. They still, however, possess different purposes so we aim to explain those below. 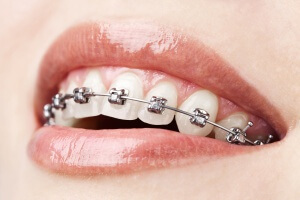 Orthodontics is a dental specialty whose prime objective is to correct teeth that are badly positioned, crooked or overcrowded, as well as closing gaps between teeth and correcting bites. All these problems can cause additional stress to the muscles and lead to TMJ syndrome. This treatment makes your mouth healthy, and imporves your overall health, while also promoting a more pleasing appearance. You can find other tips for keeping the perfect smile in Direclin’s Blog. Existence of too many teeth for a smaller dental arch. Occlusion, by contrast, is concerned not only with dental treatment, but also with the diagnosis and prevention of malocclusion or incorrect positions. The TMJ disorders are also taken into account. This field of dentistry, much like the previous one, will work on getting your mouth healthier and also improving your general health. Treatments for both cases consist in the use of braces, physiotherapy, and postural correction operations, among others. According to symptoms, the treatment will also vary, but the solution, harder or less laborious exists. If you have some of the symptoms above, please contact us to schedule an appointment. That way we can offer you a correct diagnosis and appropriate treatment.